Why would you go to a shopping mall for a 3D ultrasound when you can go to the same practice your obstetrician trusts to do all the other ultrasounds for your pregnancy? 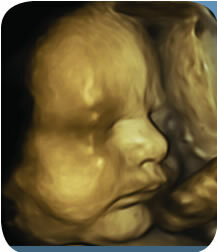 I’ve seen 3D pictures on the internet before, but I had no idea how the experience of seeing my own baby would affect me - I cried. ® Diablo Valley Perinatal Associates 3D. All Rights Reserved.